ETX-1 is an entry level Ethernet demarcation switch, part of RAD’s Service Assured Access (SAA) solution, provides Ethernet connectivity services for business applications. Combining switch functionality with basic Ethernet demarcation capabilities, ETX-1 enables quick, cost-effective service deployment to meet enterprise demand for Ethernet Private Line connectivity and LAN-to-LAN interworking. ETX-1 from RAD features Ethernet QoS, OAM and diagnostics to lower OpEx associated with service provisioning and monitoring. In addition, built-in switch functionalities allow local service provisioning within the organization, without the need to traverse the operator’s network. ETX-1 is a demarcation point for service providers enabling control and monitoring of the network starting at the customer site. 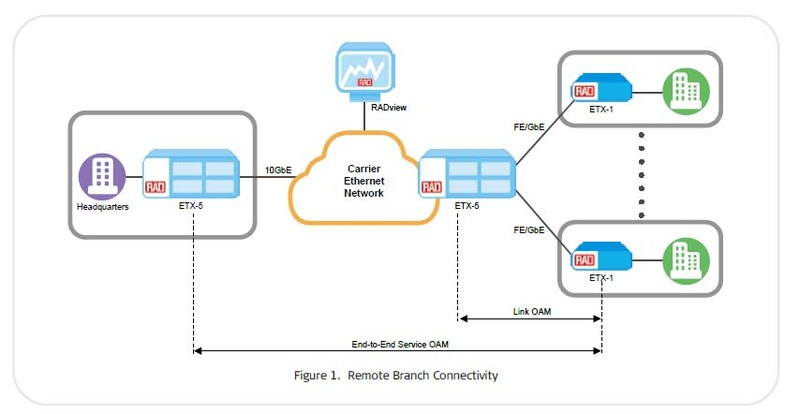 Supporting standard based Operations, Administration and Maintenance (OAM) and QoS mechanisms, it enables the operator to provide Carrier Ethernet services from the network hand-off point (see Figure 1). ETX-1 introduces a six-port, full line rate wire-speed VLAN-aware GbE switch with 9-kB Jumbo frame size support. ETX-1 supports six Classes of Service per network port and four Classes of Service per user port with configurable strict priority and/or Weighted Round Robin priority mechanisms. Traffic is shaped at the port egress or per network queue. • Single segment (link) OAM according to IEEE 802.3-2005 (formerly 802.3ah) provides fault indication, including remote loopback. • End-to-end OAM based on IEEE 802.1ag enables Ethernet service providers to monitor their services proactively and ensure service availability. • End-to-end service and performance monitoring based on ITU-T Y.1731. Fault monitoring and end-to-end performance measurement including delay, delay variation, frame loss and availability. ETX-1 reports power failures to defined network management stations by sending an IEEE 802.3-2005 message or SNMP trap, for quick discovery and recovery from outage events. • Link aggregation (LAG) based on 802.3-2005 with load balancing algorithm and configurable hashing mechanism ensures Ethernet interface protection. • Ethernet ring protection switching per ITU-T G.8032 v2 allowing the device to act as a node in an Ethernet ring and achieve 50 msec protection restore time in case of link failure. • Rapid Spanning Tree Protocol (RSTP) per IEEE 802.1w allowing the device to activate a redundant path in case of failure on the traffic route as well as preventing Ethernet loops. 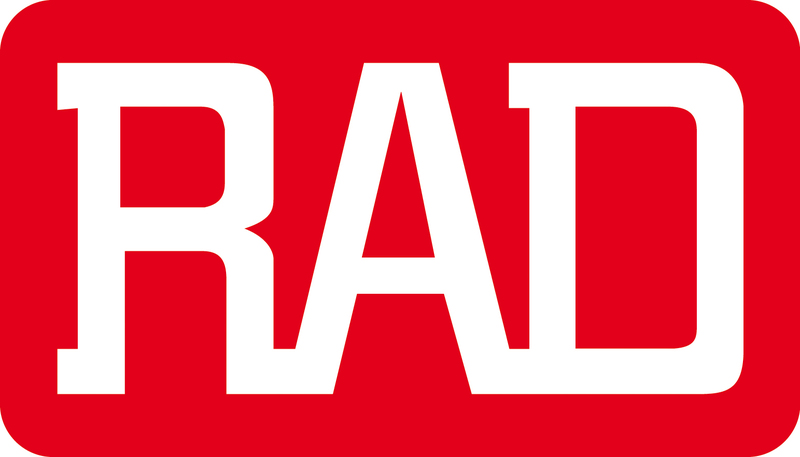 The RAD ETX-1 provides a user-configurable fault propagation mechanism in the network-to-user or user-to-network direction. When a link failure is detected or OAM failure received, ETX-1 shuts down the affected user port or forwards the OAM failure message towards the network. The fault propagation mechanism enables routers and switches connected to both ends of the link to reroute the traffic to the redundancy path. • Local out-of-band management access via a dedicated serial management port (mini-USB).